I’ve been wanting to chronicle my time in local politics in the Netherlands for quite some time, especially because recently I think some of my behaviours, and viewpoints regarding politics and debate have been influenced by it. So here goes. It must have been 2002 I first got politically active while still living in Purmerend, a close just north of Amsterdam. It was at a time when Pim Fortuyn (the politician who was later murdered) was making a name for himself. I liked his style (he was a very eloquent politician who had written some books) and he had -in my view- an eclectic mix of left-and-right points. Especially his analysis of the governments in the 80s spoke to me. 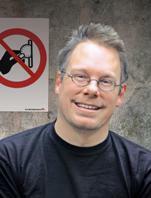 However, I did not agree with many of his more ‘classical liberal’ viewpoints. At the time, many political parties, from left to right were attacking him, sometimes with derogatory references to Germany in the 30s. I was appalled by that; one party did not do this and wrote a booklet in which they addressed the arguments in the book. That was when I decided to become active for the SP. I continued doing so when I moved back to the town where I was brought up, Enkhuizen. It was our intention, but there were strict rules for taking part in them, to join the council elections in 2006. The council in Enkhuizen has 17 seats, and like nationally there is a representative system. In 2006, for the first time, we obtained two seats in the council, I was ‘the number 2’ and obtained a seat. Although the SP politically is quite left, I would say that locally this was less important than local points. Our ‘profile’ consisted of good affordable housing, local healthcare, that sort of thing. Unfortunately in (I think) 2008 the ‘number 1′ stepped out of the party and continued for herself, making me the only councilor (and therefore leader) of the local SP. Of course behind it there was a local chapter and the rule was that the members set out the course, and the councilor(s) would then follow that line. This, of course, is quite relevant to explain why I can’t stand MPs that feel they can *not* follow their members. Sure, you might disagree with viewpoints, I think it’s an illusion to think you might never, but surely there must be some basis of democracy. In a party system like in the Netherlands people vote on parties for the parties’ viewpoints. Only in some rare cases do individuals have enough clout to attract enough votes to get a seat. But in 99% of the cases votes are based on party choices. I know this is different in the UK but nevertheless, it has instilled in me a firm belief that members decide, political reps follow. If they feel bad about it, they either (i) keep silent, (ii) arrange freedom to vote (if it does not undermine the party’s image), (iii) go away and give the seat to someone else. It was interesting to learn that in the UK giving up a seat would automatically trigger by-elections. From 2008-2010 I was the only councilor and we built a new party. There were some big issues in Enkhuizen at the time with the two most prolific ones being parking permits for the inner town, and the sale of an historical hospital and healthcare. Our viewpoints in both the topics made that we had quite a unique profile. In addition, I think that as a councilor I espoused that I was very accessible, always would react to queries from citizens, and took them seriously. Mind you, contrary to what political opponents would say, this did not mean ‘doing what citizens wanted me to do’. There are certain principles and policies that follow from the political party and those are key. This is something I would expect any councilor to do. You’re not there for yourself but to represent your voters. During that time there was a minority coalition with three ‘governors’ from the parties NE, VVD-D66 and CDA that got backing from the smaller Christian party (CU-SGP). 1. Paid parking permits. The governor responsible for parking matters had plans to introduce paid parking permits in the old inner town of Enkhuizen. The plan was not thought out well, and as all plans the main question was “how is this plan going to address the aim to reduce cars in the inner city?”. This question had never been answered. We were very much opposed to these plans as it would just cost money with no noticeable effect. We devised our own plan and then started a poster campaign, distributing A4 window posters against paid parking permits. It was a big success. Some citizens put the posters behind their windows, but more importantly our party became known as a party that fought against what many inner city citizens saw as an unattractive development. Because of this success, the governor in question was not very amused, eventually even resulting in calling us ‘liars’ and starting a counter campaign. 2. A new health centre. The old town of Enkhuizen has an old ‘Snouck van Loosen’ hospital. This hospital was in use by several health providers, including a walk-in center of the nearby larger general hospital. As the maintenance costs of the building were very high, the governors and council decided that it should be redeveloped. During the development of the plans two serious providers remained: one was a collaboration of the hospital with the local organisation responsible for council homes and healthcare, another was a property developer with experience in building healthcare centers. 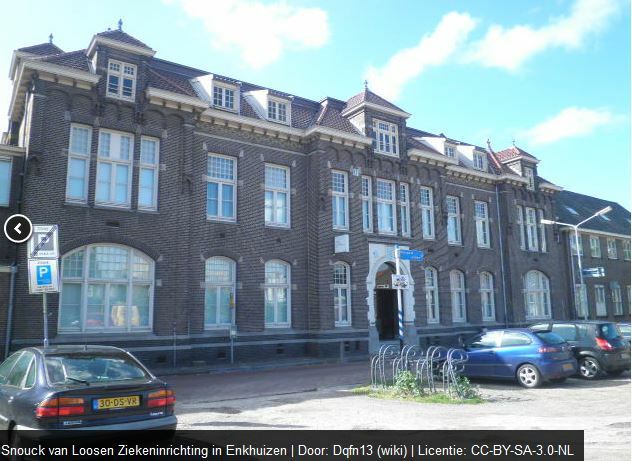 For us, the guarantee of healthcare, and especially the hospital, remaining in Enkhuizen was key. The property developer could not guarantee this but offered more money. The governors at the time chose for the property developer. In addition to health the people living around the development site were afraid that planning permission would mean their homes would be affected negatively. At the point of the elections it was clear that the responsible governor (from VVD-D66) would continue while some other political parties, including us, were against. Photograph in the newspapers; in the back our campaign poster against parking charges. In the table I’ve put in a fairly simple ‘typology’ of the parties, knowing full well that it doesn’t do justice to all of it, certainly not in a local context. What I think was very important was the diverse ‘media strategy’ we had. Twitter was up and coming, and I got a mention in a national magazine as one of the most prolific local politicians on Twitter. We did a lot flyers on the street and door-to-door (we did that throughout the year, by the way, which added to an image we also cared after the elections). We also did ads in the local newspapers, where we would simply show our voting history (and that of others) on the main themes. Obviously we kept an updated website with sometimes an interactive addition; I used my programming skills to, for example, design a ‘fun’ space invaders game with the key politicians.Finally, there also were hustings, in which we kept on highlighting our key themes. The day of the elections was one of the strangest days I’ve ever seen. The campaign was over. I can’t really remember what I did that day, but I do know that, contrary to most political parties, we started off the election night in the place we always had our meetings. We wanted to organise a nice get-together with all the people who had helped during the campaign. After 9pm, when the ballot closed, we went to the old city hall or more precise the neighbouring tavern where the results would be announced. In this packed room we would await the Mayor who would announce the results. The atmosphere was feverish and some people who had seen the counting whispered in my ear that we were doing really well. As we had gone down from 2 to 1 seat because of 1 person leaving the party, I thought it would be great if we would be back on two. I remember watching the big screen when the votes were announced. Our bar shot up highest: we had received the most votes of all the political parties. It seemed the room (and also the Mayor) was stunned. It was generally expected that the old minority coalition, as the liberals nationally were winning quite some seats, would get a majority (later, it would turn out that the governor even had already written a draft coalition document for the occasion). But unexpectedly they ended up on eight again, and we had taken most votes. It really was quite special. In retrospect I think I could already see that evening coalition building had begun. I could not participate of course, as everyone wanted to congratulate me with our victory. I knew the next morning coalition talks would begin. Now came one of the hardest times in my life, both mentally and politically. But to understand this phase best I first need to say a bit more about the political context and system. the Enkhuizen council has 17 seats. Ideally, after elections the biggest political party takes the lead in assembling a majority coalition (so of at least 9 seats). The tradition is that the largest party would take the lead, and that was the SP. We really tried to approach these negotiations as neutrally as possible, although some might’ve thought we were full of resentment. I can honestly say we weren’t. Sure, it was clear that the ‘old coalition’ wanted to continue, and that our victory had complicated things, but some (naive?) idealism meant that we thought that after the elections, the campaigns were over and we could simply use logical argument and debate to get a good coalition that did justice to the election result. This meant that the first step was to meet all the parties. With a standard script we met with representatives of all the other parties to get clear what they expected. Minutes of all the 1-2 hours meetings were made up and published openly. Based on this we wrote an initial ‘exploration’ document, suggesting the most logical programmatic way forward. Even in the first round one could already see some friction in the big election points. Although initially the idea was to only have formal meetings and a completely transparent process, it became clear that sometimes informal meetings were necessary. The advantage of these is that there is bit less tension; the disadvantage is that things can be said that can later on not be used, as they were not recorded. After a first round, taking into account programmatic agreement and the winning/losing parties, we first tried to build a core coalition with VVD-D66 and CDA. This came as a bit of a shock to parties on the center left as ideologically they felt they were closer to the SP. However, they had lost votes, and they would not budge on one of the main election points, parking. We did feel that the other point might become problematic with the other parties, but this was not voiced as resolutely (yet). It seems useful to mention that in (Dutch) politics parties that walk away from negotiations, can be depicted as not taking responsibility. This meant that part of the process was to *never* do that, and let others leave, if possible. 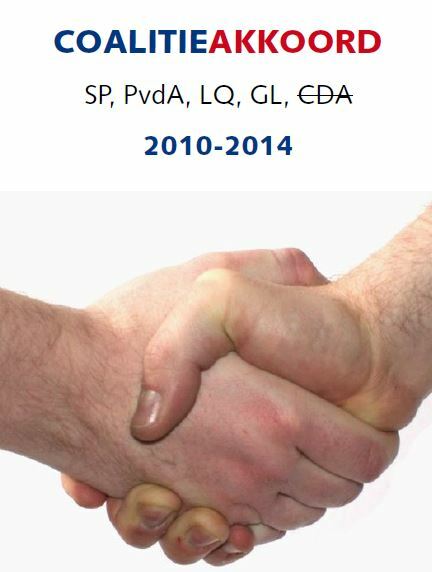 Coalition agreement. Note how we crossed out the CDA, who recanted 2 hours before the formal council meeting. Basically, if now only one more party would join, we would have the ‘old coalition’ complemented with us, the SP. This was not what we wanted, as it was quite clear that a large group of people wanted some changes to be made. We expected that this fourth party, NE, would increasingly present themselves with viewpoints we wanted to hear, to force this ‘old coalition plus us’ on us. They even went to the newspaper to declare that they would be perfectly willing to govern with the party they had accused of ‘lies’ before. Our hesitance to include them was not taken well and seen as resentment from our part; this was unfair in my view, it was quite clear that there simply were incompatibilities between us.The negotiations with those parties faltered and we regrouped to try and get an agreement on the center-left. One challenge was that we needed at least one party from the ‘old coalition’. We did extra rounds with the party that was closest, and normally quite pragmatic, the CDA. By giving them several points, making it hard to refuse, we managed to get an agreement. Literally, later that day, CDA unfortunately recanted their agreement. I never really found out what had happened. Their story was that one of them had encountered *some* members of *one of the other parties* and that they had said things that had made them doubt our true intentions with the agreement. But I think it had more to do with the ‘old coalition’ and their agreement to not let each other go. To set this in context, there were blocks on the political left and right, and solitary seats ‘in the middle’ (CU-SGP). Previously, they had given support to the old coalition. I think they were hoping this would happen again; this was not an impossibility. To be honest, I was shattered at that point. Weeks of well-intended and idealistic work, in my view, became the victim of political games. What we did do is make clear to the outside world, that it wasn’t us that had ‘let go’ but others. This was, for example, done by releasing a nicely formatted ‘coalition agreement’ with CDA crossed out, making clear that there *was* an agreement. I gave several interviews outlining the process, and made sure our website gave a full account of what had happened. Ironically, it then was the ‘second largest party’, VVD-D66 the party that led the ‘old coalition’, that took over the negotiations. It was clear that the parties of the ‘old coalition’ knew each other very well and agreed about many points very swiftly. Of course, not taking the lead any more, meant that we could not get many of our points in. In fact, we were quite resistant to any ritual games of ‘neutral negotiations’. It was quite clear what everyone wanted, it was all in the minutes of the public negotiations, and essentially it boiled down to whom the one seat party CU-SGP would support to make a majority. Unfortunately they felt they had to support ‘continuity’ and went for the ‘old coalition’. That was that. In parallel, though, there was another problem. At one point the VVD-D66 governor invited me over for a frank conversation about the new health centre. In this conversation he confided in facts about the centre that previously had been denied, upon direct questions from us. My feeling was that this was an inappropriate offer: by confiding this to me, we could become part of the ‘inner circle’ and ultimately become part of the local government. This was not something we were willing to accept, after all, in our view, the governor had lied to the council. We gave him an ultimatum: to either come clean himself within a couple of days, or we would send out a message and ask questions about this during the next council meeting. This still drives me: some principles are non-negotiable. 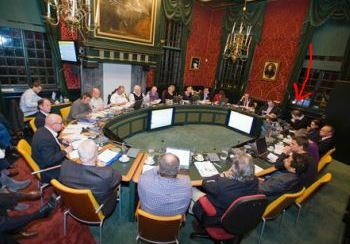 We could have governed but the price, accepting lies about a project that concerned the citizens of Enkhuizen, was unacceptable. It was this council meeting that became a big focal point of two things. Firstly, because it would concretise the establishment of the old coalition (and not us, although we were the largest party). Secondly, we would bring out the news about the lies. Of course, we were accused of being ‘bad losers’, and even that we had jeopardised the good relationships in the council, because we had taken so long to negotiate. I guess that disappointed the most; rather than confess any manipulation had taken place, it was all *our fault*. Luckily, I think we had enough goodwill, and explained the events so clearly in the media, that not many citizens seemed to believe these ‘alternative facts’. Remarkably, the coalition agreement they had made, contained elements that were non-negotiable when the ‘old coalition’ was negotiating with us. Dutch heading in newspaper when I left for Southampton. So that is how the negotiations ended. We were in opposition and of course still were going strong (although I had to pause my activities for some months later on). I emigrated with my family to the UK in 2012 and I’m very happy to see that the local chapter has gone from strength to strength, being by far the biggest party in the current council with 4 seats, as well as a governor. I still value my time as councilor as a lot. Uiteraard is dit een persoonlijk perspectief. De SP na jou is een partij geworden die in geen enkel opzicht lijkt op wat ze was in jouw tijd. Het zijn gestaalde kaders, uitsluiting van alles dat anders denkt en vijandbeelddenkend. This entry was posted on February 24, 2017 by cbokhove in Politics.